Deep garnet in color, this wine reveals an exceptional array of aromas, from dark cherry and dried cranberry to cinnamon stick, clove and toasted oak. This luscious wine is round and full on the entry with fresh fruit flavors of blueberry, blackberry and red fruit, intertwined with hints of dark chocolate that continue through the long finish. 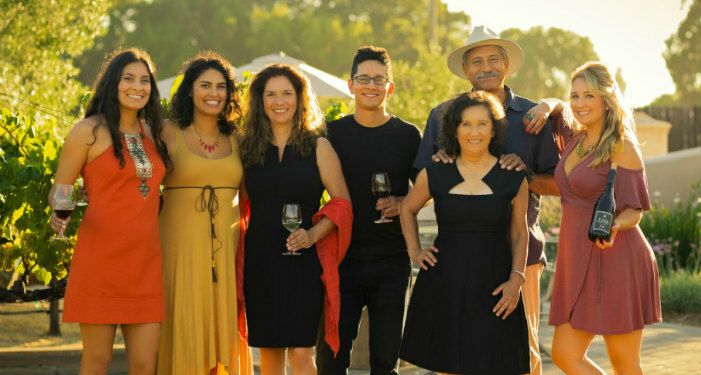 Ceja Vineyards is an ultra premium Latino family owned winery founded by Amelia, Pedro, Armando and Martha Ceja – first generation Mexican-American winegrowers in the Napa and Sonoma Valleys. Our dedication to sustainable agriculture and the gentle handling of the grapes in the cellar can be tasted in every sip of our estate Pinot Noir, Chardonnay, Cabernet Sauvignon, Merlot, Sauvignon Blanc, Syrah, blends and Dulce Beso late harvest white wine. As you explore our website you'll see, repeated often, a bell with the Latin inscription: vinum (wine), cantus (song), and amor (love). In Mexico, church bells ring to reveal the time, announce community celebrations or call parishioners to church. 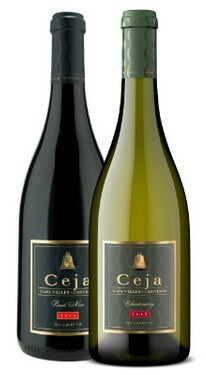 We have adopted the bell as our trademark, and symbolically ring it now to invite you to become a part of Ceja Vineyards. Open Fridays, Saturdays & Sundays | 11 a.m. - 5 p.m. Enhance your wine knowledge as you learn about our rich heritage and see what makes the Carneros region such a premier grape growing region. Enjoy and sample a minimum of five wines from our portfolio that may include our Sauvignon Blanc, Chardonnay, Pinot Noir, Merlot, Cabernet Sauvignon, Syrah, and Vino de Casa Red blend. Situated right on the highway between Napa and Sonoma with lovely expansive views of the surrounding Carneros countryside, our wine tasting room is comfy and cozy inside and includes a private outdoor sitting area. 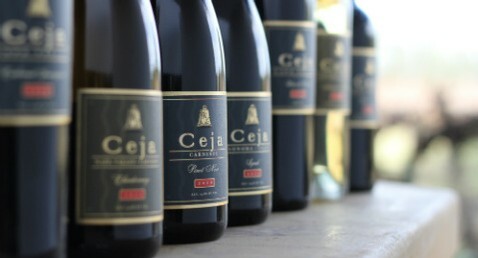 Ceja Vineyards produces a diverse range of award-winning varietal and blended wines – all from our Napa and Sonoma estate grown grapes. We love the characteristics and age-worthiness of Old World wines and are proud to incorporate elements of this with our New World heritage. 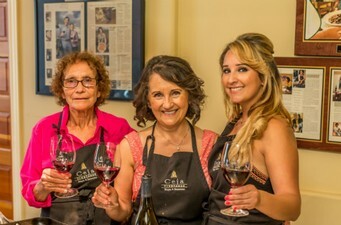 Making wines that are fruit forward while maintaining beautiful mineral structure and acidity reflects the classic hallmarks of a Ceja Vineyards bottle of wine: richness with elegance, concentration with approachability, and complexity with balance.